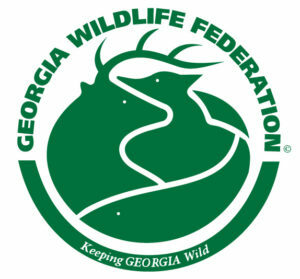 While the Georgia R3 Initiative is funded by five main partners, the initiative as a whole encompasses all stakeholders with a vested interest in hunting and shooting sports in Georgia. With a nationwide general decline in hunting participation since the 1980s, the leaders in the conservation community have come together, recognized the gravity of the situation, and made a serious shift in the way they are tackling the issue. A national plan was recently developed by the Council to Advance Hunting and the Shooting Sports (CAHSS) to assess strategies for increasing support and participation in hunting and the shooting sports. This plan terms these strategies as recruitment, retention, and reactivation (R3). Revenue generated is distributed to the state wildlife agencies based on the land area and number of paid licensed hunters in their respective states. To receive these funds, the state must match them (one state dollar is needed to receive three federal dollars) and they are required to be used for wildlife management, public access to wildlife, hunter education, or shooting ranges. Hunting license sales determine not only the amount of federal funds states receive, but also generate revenue which goes directly back into conservation. It is a fact that the number of participants in hunting and the shooting sports directly effects the number and quality of sporting opportunities. It also directly impacts on-the-ground habitat management that is beneficial to game and non-game wildlife. Did I mention hunting and shooting have over a two-billion-dollar economic impact in Georgia every year? Hopefully the abbreviated history lesson and monetary discussion above is enough to make you care all by itself. However, as we all know there are numerous other associated benefits that come along with these activities including invaluable time spent with friends or family, healthy food, and extended periods of time spent outdoors. The latter is especially important with the continued disconnect from nature, now commonly called the nature deficit disorder, becoming increasingly common in our country. Representatives from Georgia have been involved with the national plan development since inception. In fact, in a recent conversation I had with John Frampton, the president and CEO of CAHSS, he said “Your state is leading the country in their commitment and focus on R3 efforts.” What was John talking about, why is Georgia leading? That’s where I come in. Let’s dive into those three words a little more. Recruitment programs are focused on awareness, interest, and trial opportunities. These programs provide participants, that have had no exposure to shooting or hunting, with that first crucial contact. Once participants are recruited, retention is the next step. Some people will continue hunting or shooting without future support or programs, but many need a little more guidance. On the hunting side of retention, we call many of these “hunt and learn” programs which provide guidance with everything from what to wear, where to hunt, what scouting is, and what to do after an animal is harvested. Once you become a hunter or shooter and continue for a few years that’s it right? The job is done? Well unfortunately many hunters lapse and aren’t able to hunt due to time constraints or other responsibilities. That’s where reactivation programs come into play. These efforts reengage previous hunters. Similarly, someone who previously participated in the shooting sports may stop, for various reasons, but if offered opportunities and support at a nearby range, may well re-engage in the sport. 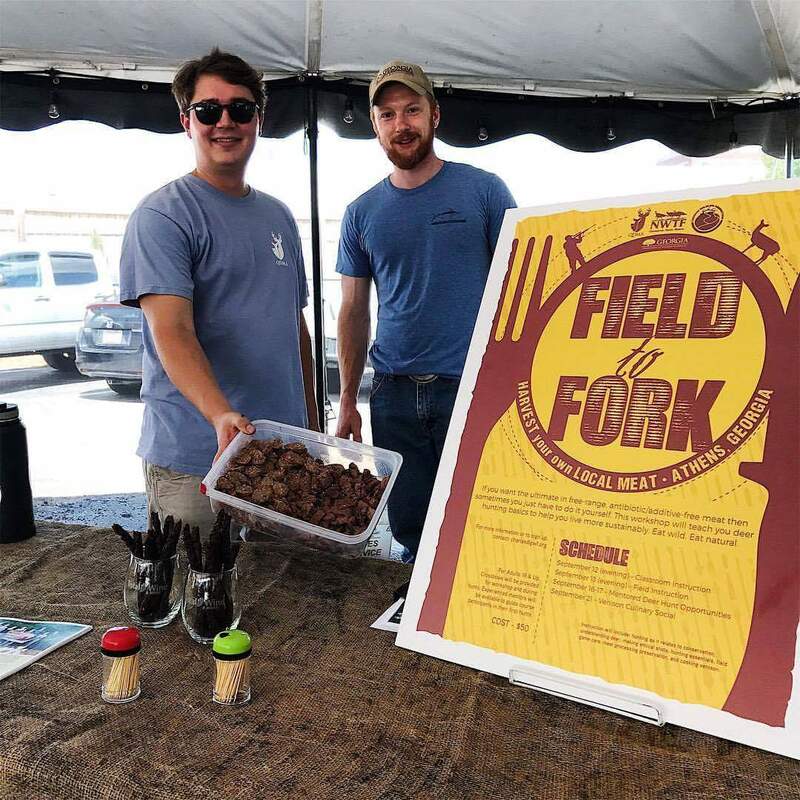 Hank Forester (Quality Deer Management Association) and I recruiting participants for Field to Fork (a program teaching people to hunt for food) at the local farmer’s market. We’ve talked about the direction of my coordinator position, now let’s talk about what you can do. Social support is the overarching theme of R3, and without it we will have limited success welcoming people into our traditions. When you’re just starting out, hunting can be a very intimidating activity. Do you know someone that wants to learn to shoot or go hunting? Take them, no matter their background or beliefs. With the urbanization of Georgia we have many people that are never offered the opportunity to do either. Once again, I am not just talking about youth. You might be surprised by the number and variety of adults who are open to the idea of shooting and hunting. We currently have a golden opportunity with the organic and locavore movement. These people want all natural meat and many are interested in learning to harvest it themselves. They may have never thought of hunting previously and probably even had a negative view of it. Don’t frown on someone just because they have different views and are from the city. Instead take that opportunity to be kind and educate them a little bit with the facts about conservation funding and where it comes from. You might be surprised how curious they are and just how little effort it takes to convert them into a hunter or shooter.